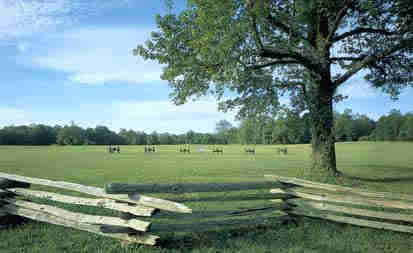 Here we are at Shiloh National Military Park, just south of Savannah. This lovely park was established in 1894 to preserve the scene of the first major battle in the Western Theatre of the Civil War. All right, let's crank the Chevy up and we'll be driving northwest from Savannah. This serene place is Chickasaw State Rustic Park located 18 miles south of Jackson, Tennessee on Route 100. It's 14,384 acres of forested land. 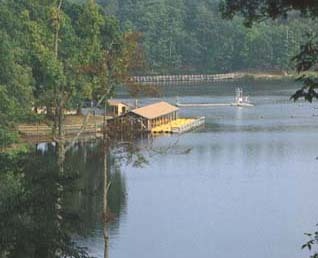 Only 1,280 acres are permitted for recreation. The rest is just as nature intended it to be. 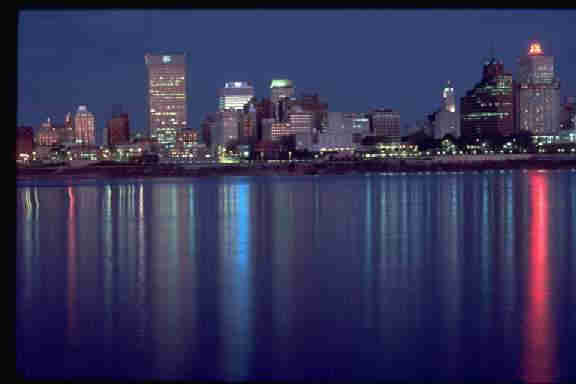 Memphis, Tennessee's largest city; home of the Blues and birthplace of Rock and Roll. 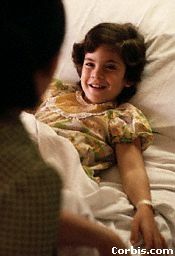 St. Jude's Children's Research Hospital was founded in 1966 by entertainer Danny Thomas. Danny believed no child should die in the dawn of life. He also believed that any child should be cared for with or without the ability to pay. Here's another familiar face. Elvis Presely and Memphis are almost synonymous. 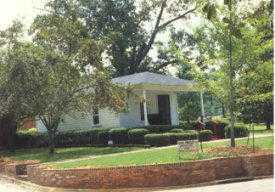 This is the house in Tupelo, Mississippi where Elvis Aron Presley was born to Gladys and Vernon Presley on January 8, 1935. We can't visit Memphis without a trip to Graceland, Elvis' home there. It is a 14-acre estate. 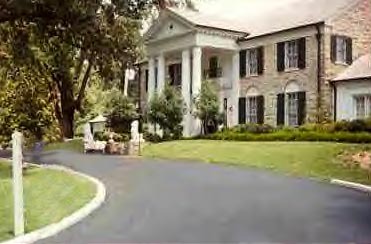 On the grounds are a Trophy Building which houses all of his gold records, movie and stage costumes and personal knick knacks; an automobile museum containing many, but not all, of his cars and a Meditation Garden. The first floor of the mansion is open to the public, but the second floor has been closed permanently to visitors. 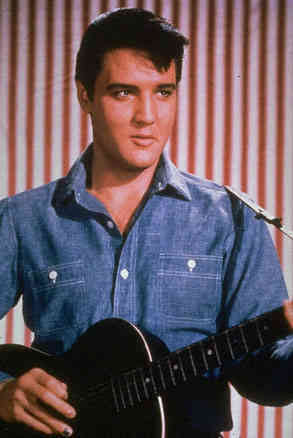 Elvis Presley died in his beloved Graceland on August 16, 1977 at the age of 42. Why it's one of the famous paddlewheelers that ply the mighty Mississippi River. The Mississippi is Tennessee's western border, so it looks like we've come to the end of our tour of the Volunteer State. We hope you've enjoyed your tour. We'll leave you with these words: Y'ALL COME BACK NOW, YA HEAH?